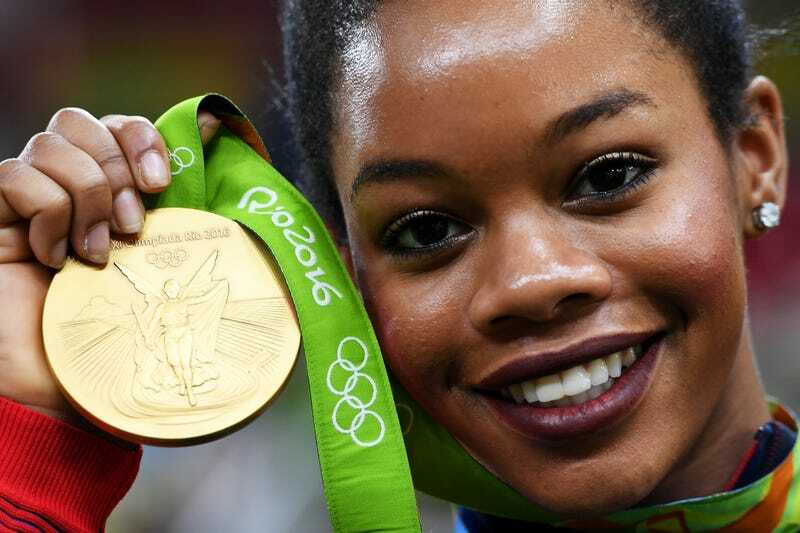 Gabby Douglas poses with her Olympic gold medal after the medal ceremony for the Artistic Gymnastics Women's Team at the Rio de Janeiro Olympics on Aug. 9, 2016. Social media can be a gift and a curse. Well, let me rephrase that: The types of people who have access to social media can be a gift and a curse. And, unfortunately, Gabby Douglas has been learning that the hard way throughout her gymnastics career. No matter what's said about Douglas, there are people out here who love and appreciate her.